Daigo Matsui‘s newest movie “Azumi Haruko wa Yukue Fumei” (Haruko Azumi is Missing) is heading to cinemas in December ’16. The project is lead by Yu Aoi, who portrays a 28-year OL who suddenly dissappears. It’s been 7 years since Aoi’s last leading-role movie “One Million Yen and the Nigamushi Woman” in 2008. Check the teaser trailer, extended cast and other details after the jump! “Azumi Haruko wa Yukue Fumei” is based on a novel by Mariko Yamauchi published in 2013. 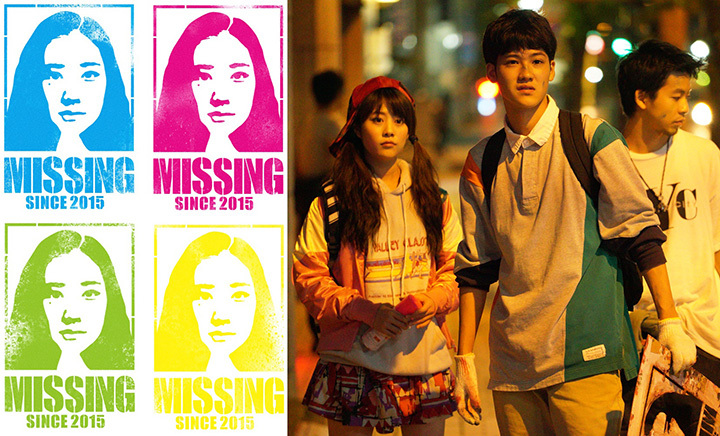 Haruko Azumi (Yu Aoi) is a single OL, who suddenly dissapears without a trace; not long after her dissapearance a group of delinquent high-school girls starts terrorizing their suburban neighbourhood, while Azumi’s “missing” posters are being turned into parody graffiti by a hoodlum group. The stories from before and after Haruko’s dissapearance intertwine in the captivating narrative. 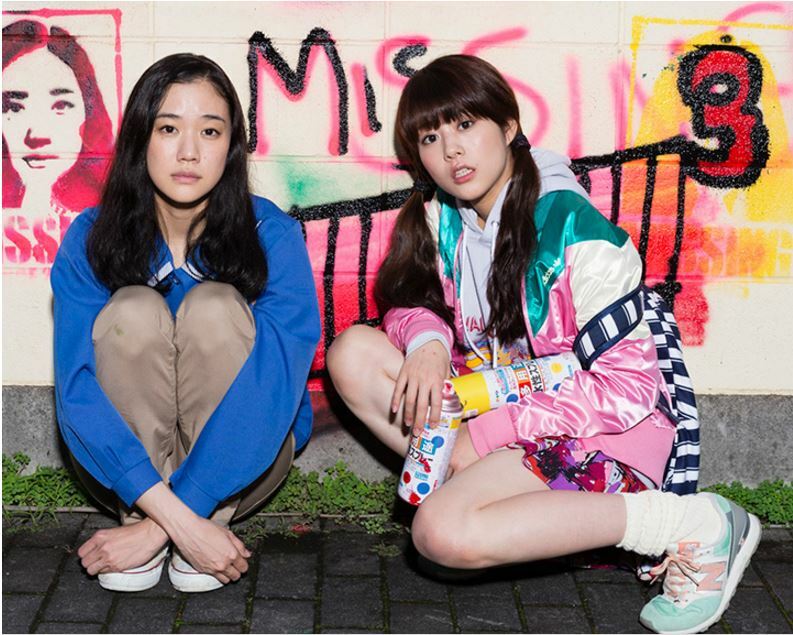 The author commented she could not have imagined a better actress to portray Haruko Azumi in the movie, than Yu Aoi. Interestingly, both Yu Aoi and the director, Daigo Matsui, are 29 years old – both mentioned that connection and the fact the 30ties turning point might be the best moment to adapt the “Azumi Haruko” story. The released visuals show Yu Aoi as the main character as well as supporting cast members: Mitsuki Takahata as the 20-year-old gyaru Aina as well as Shono Hayama and Taiga. “Azumi Haruko” will be also a first enounter with movies for singer-songwriter Huwie Ishizaki, who will appear as Haruko’s classmate Soga. 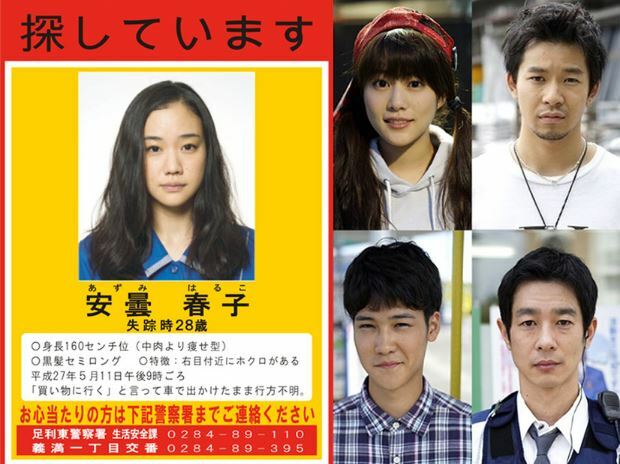 Other cast members announced so far are Ryo Kase, Akiko Kikuchi, Serina, Motoki Ochiai and Maho Yamada. It was also announced that chatmonchy will provide a theme song titled “Kienai Hoshi”. The duo wrote the song after reading the script and it was already performed in front of the fans during chatmonchy’s Budoukan concert. CD release is planned for early November.